For 25 years, Pamela Arterbridge has been building her salon business, one customer at a time. "I have a dedicated clientele and I never wanted to let them down," Arterbridge said. But four years ago, she began feeling exhausted and then some symptoms she couldn't ignore. "I woke up one morning and all of my toes were numb and tingling, and it felt like I had rocks in my shoes," described Arterbridge. "I have a lesion on my spine, and I have three on my brain," Arterbridge detailed. 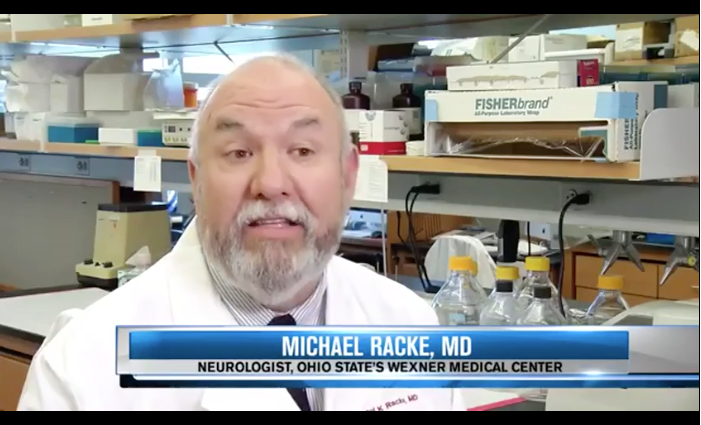 Dr. Michael Racke, a neurologist at The Ohio State University's Wexner Medical Center in Columbus, Ohio, is an expert in MS and one of a nationwide team of researchers studying the effects of ocrelizumab. "Almost half the patients had no evidence of disease activity in terms of their MS," Racke said. "That's much higher than we've seen with any other MS treatment." Ocrelizumab is also the first drug ever available for the primary, progressive form of the disease, which includes about 15 percent of MS patients. The drug is given to all MS patients as an infusion. "Patients receive it every six months, certainly a little bit more convenient than a monthly infusion or injection," Racke said. Arterbridge was on the drug for about a year as part of the clinical trial. She said it's made all the difference.